Hello, my name is Rosy and I am a TV-aholic. I am addicted to television. It all started before I was five. I know it's difficult to believe, but I am of a generation that can remember not having a television. Before we had one, I remember standing on a neighbor's porch, peeking into their living room to get a glimpse of their television. My grandparents had a television before we did and we would go over there on Friday nights to watch the Friday Night Fights and on Sundays to watch Ed Sullivan. Friday nights were so boring for me, though, that I would lie on the floor and braid the fringe that hung on the bottom of one of my Grandmother's chairs. I guess my addiction had not kicked in yet. When I turned five, my Dad bought us a television. But it wasn't until I was seven that my addiction really kicked in and that was the year "The Mickey Mouse Club" started. 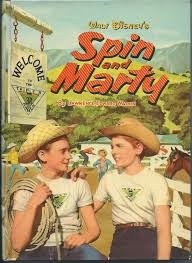 "The Hardy Boys," and one of my favorites, "Corky and White Shadow." 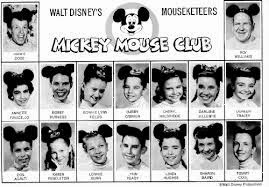 "The Mickey Mouse Club" was on every day after school and I couldn't wait to settle in with my peanut butter toast and glass of milk. 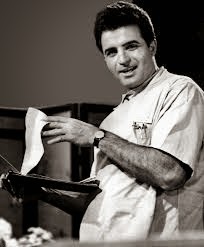 or Vince Edwards who starred in "that other show, "Ben Casey." It was a heated topic. I was firmly in the Richard Chamberlain camp. 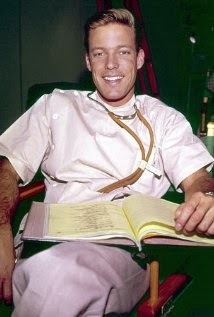 I even had a Dr. Kildare pillow case that I practiced kissing on. People bonded over TV shows back then. There were only 3 channels so it was much easier to find someone who was watching the same programs as you. As a teenager, I fed my musical obsessions with "Shindig!" and "Hullabaloo." Everyone from the Animals to the Zombies performed on "Shindig!" That's when my interest in Rock & Roll became firmly entrenched. My Dad worked extra jobs so wasn't home that much, but we bonded over old movies. That was the era when the only movies you saw on TV were the ones from the 30's and 40's and they usually played at 11:30pm and 1am. My Dad and I would sit up late and watch them. He was a real softie. If there was a sad scene or one of those really, really happy ones where the separated lovers would find each other again and run into each others' arms, he would get teary, but would always take pains to cover it up by laughing a bit and wiping his eyes with his handkerchief (men used handkerchiefs then too), but pretending he was wiping his forehead. I remember when a tornado came through, everyone was down in the basement except my Dad and me. We were watching the movie "My Darling Clementine" on TV. When the all clear was sounded, I was sent off to bed and never did find out how it ended. All of those hours watching old movies with my Dad, not only leave me with wonderful memories of him, but I gained a knowledge of actors and actresses from the Golden Age of Hollywood. I am hard to beat at Trivial Pursuit when it comes to old movies. In college, my roommate and I would gather with some of the other girls in the dorm to watch "The Monkees" on the communal television. In my sophomore year, I married and moved to married housing. After my husband was drafted and sent to Vietnam, my television helped me keep track of the war and what might be happening to my husband. Hard to believe that every night the war was on the news with pictures of dead bodies and reports of body counts. We have been at war for years now and we hardly hear about it. So the TV was also a companion late at night. I would come home from play rehearsals and Johnny Carson would keep me company and help me get over the jitters of sleeping alone. Since the show was live, I saw some of the great moments: Don Rickles kissing Frank Sinatra, Ed Ames throwing the tomahawk and hitting the target right in the groin. An absolutely classic moment. Johnny was the king of the double take and would really crack up when something spontaneous happened. And just think of all of the comics he launched. I saw them all. If Johnny liked you, your career was made. All I have to do is hear "Heeeeeers, Johnny" and many happy memories come back. Now the late night talk shows don't do it for me, partly because I am not up that late anymore and my latest obsessions are reality TV, everything from the great competitions like "The Amazing Race" and "So You Think You Can Dance" to the more lowbrow "Housewives" franchises and "Dance Moms." So I admit to my addiction. I know that is the first step in overcoming it. And I know as a newly retired person, I need to keep that aspect of my life in check. But I also have the feeling I am not alone. I am always amused by people who say, "I don't watch television," but they seem to know everything that is on! 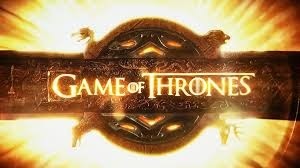 Watching television has a certain stigma to it which I think is not well-deserved, unless you are like me - addicted. Television is not just entertaining but educational, and as a librarian, I felt it was essential to be on top of popular culture so that if a library customer asked me who was voted out of "Dancing With the Stars" last night, I not only knew what she was talking about but who was voted out! I found it essential to be aware of what people were watching. Well, that's my story anyway, and I'm sticking to it. You know every "Real Housewife" by name, even the ones from D.C. When you take leave of people, you say "You're Out! Auf Wiedersehen" and kiss them on both cheeks. 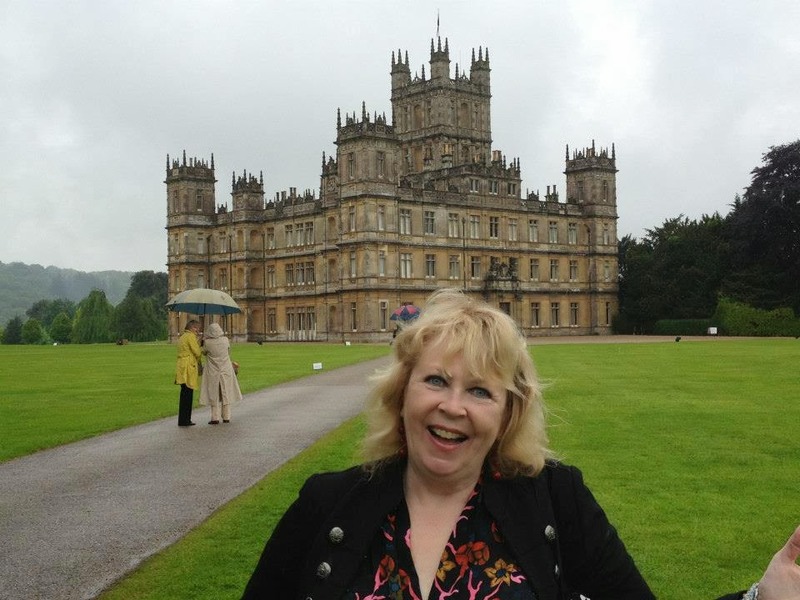 You think Downton Abbey is real and you are planning a vacation around going there. Well it's kind of real. You know what "Smize" and "Tooch" mean. You actually enjoy arranging your TIVO Season Passes. You are starting to crave really bloody steaks and notice that it seems to happen after watching "True Blood." You feel like singing a Journey song every time something momentous or emotional happens. As soon as you sit down in a chair in front of the television, your wine guzzling poodle assumes the position for a long nap on your lap. One of your life goals is to meet Phil Keoghan so he can say to you "I'm very sorry to have to tell you that you have been eliminated from the race." You spent the whole weekend watching a "Sister Wives" marathon and are seriously considering plural marriage. I have acknowledged my problem and I plan to work on it. I really do. But can I start after "Dancing with the Stars" is over? Favorite TV memory...watching the Beatles on Ed Sullivan for the first time with my youngest, older brother and having my Dad try to tell us to turn it off because of their appalling hair styles! Dad didn't win that one! I LOL when reading the part about Downton Abbey being real and then scrolling to your photo there! Once again, a great and entertaining blog! Keep 'em coming, Rosy! Thanks. I, too, remember the Beatles on Ed Sullivan, watching with my friend Linda. Television, love it or hate it, has had a big impact on us Baby Boomers. I enjoyed reading about some of your favorite TV memories. My earliest TV doctor crush was Marcus Welby's partner Dr. Kiley played by James Brolin. I'm still a TV addict, and Downton Abbey is also one of my favorite shows. Cute photo! It's so nice to meet you Rosy! I didn't know you were watching "Once Upon a Time." I started watching it when it first came on but then let it go. If I had known you were watching, I would have stuck with it.